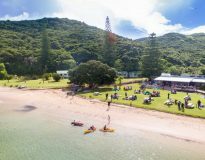 Yes that’s right folks - the much-loved Bay Week Beach Party will return in 2019, thanks to the good folks at Explore and Otehei Bay. YAY! Entries are coming in for CRC Bay of Islands Sailing Week 2019, with 14 confirmed to date. Check out the Entry List for full details of who's in to date, and be sure to get your entry in before the end of the year to avoid the $75 late entry fee. We can't wait to see who's going to be joining us for CRC Bay of Islands Sailing Week 2019. If it's anything like the last few years, we're expecting a record turnout again, and with over 100 boats competing last year, we're proud to say we're still NZ's biggest and best keelboat regatta. 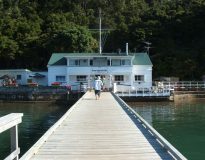 Rally to Kawau is Back in 2019! Keep the momentum going after Bay of Islands Sailing Week, by joining in a fun and friendly Rally to Kawau on Saturday morning, followed by the Kawau to Westhaven Passage Race on Monday - part of the iconic Ports of Auckland Anniversary Day Regatta. It's official folks! The 17th edition (or should we say the XVII edition?) of the CRC Bay of Islands Sailing Week regatta will be held from 22-25 January, 2019. 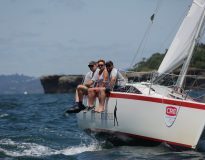 CRC Bay of Islands Sailing Week has long been known in sailing circles as New Zealand’s most fun regatta. Many participants love the event for its family-friendly, holiday feel, as much as for the competitive element. It’s an inclusive event, where families often sail together, and a whole spectrum of boats and people converge to enjoy three days of colourful, scenic and competitive racing.